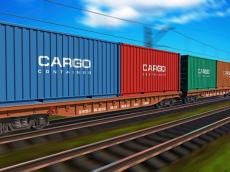 As many as 25.6 million tons of cargo were transported through the territory of Azerbaijan within the international transport corridor Europe-Caucasus-Asia (TRACECA) in January-June 2018. The turnover amounted to about 5.5 million ton-kilometers. Compared to the same period last year, the growth is 0.1 percent and 2.6 percent respectively. As many as 15.9 million tons of cargo or 62.1 percent were transported by road, while 6.08 tons or 23.7 percent – by rail, and 3.6 million tons or 14.2 percent – by sea. Transit transportation accounted for 19.3 percent of cargo or 4.9 million tons. TRACECA is an international transport programme connecting the European Union, 14 member States of the Eastern Europe, Caucasian and Central Asian countries. It was established in 1993 with the participation of the EU, Caucasus and Central Asia states representatives. The Permanent Secretariat of TRACECA was established in March 2000 in Baku. Azerbaijan, Bulgaria, Georgia, Kazakhstan, Kyrgyzstan, Iran, Moldova, Romania, Turkey, Ukraine, Uzbekistan, Tajikistan, Turkmenistan, Armenia and 28 member states of the EU are the member countries of the organization. Since 2009 TRACECA has been entirely financed by member countries. The major objective of the project is to develop transport corridor from Europe to Central Asia via the Black Sea, Caucasus and the Caspian Sea. Azerbaijan, connecting the routes between West and East, plays a significant role in functioning of TRACECA.